It may be all you want from your holiday in the Canaries is to sprawl out in the sun, but if you’re after something a little more active then an organised tour is just the ticket. There are plenty on offer, from whale watching, hiking and cycling, to the more high-adrenalin jeep safaris or helicopter rides. Read on for a selection of the best tours you can take on the island of Tenerife. Whether you’re after a relaxed bike ride with scenic views, or the challenge of extreme altitudes, a cycle tour is a great way to see the island. 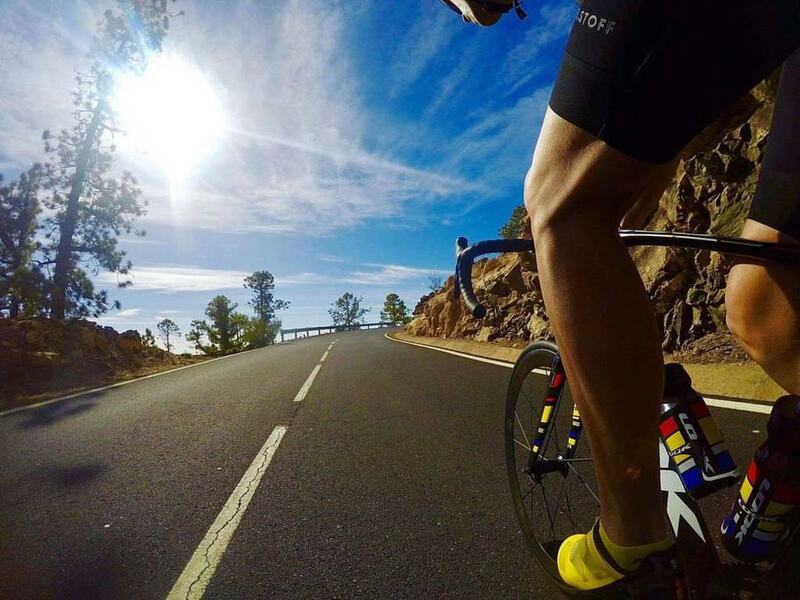 Cycling In Tenerife offers a range of bike tours, from softer routes to those designed for experienced riders, on road or mountain bikes, depending on the route and terrain. 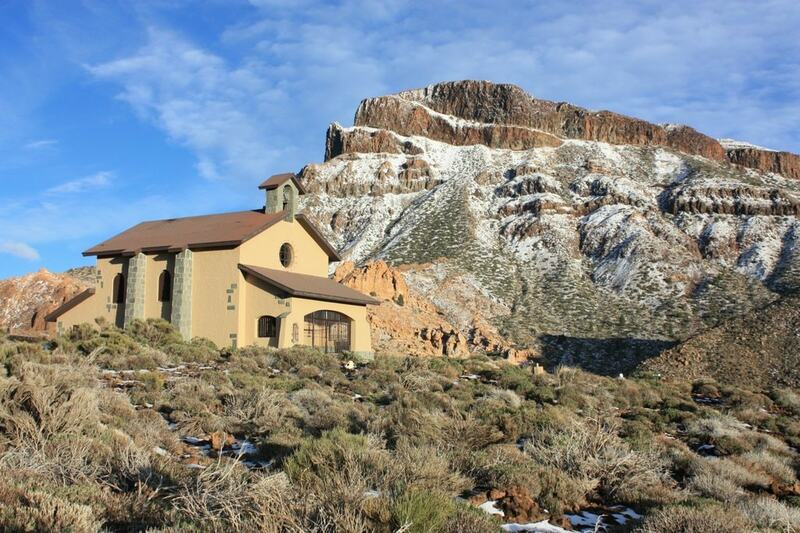 For the expert cyclists among you, they offer the Mount Teide Challenge with difficult climbs and long distances through the Teide National Park. Tenerife’s landscape is incredibly varied, showcasing everything from spectacular coastline, vineyards, forests, mountains and lava fields, making it a hiker’s paradise. There are walks for all levels, from leisurely strolls along the coastline to heart-pumping mountain hikes up to volcanic craters, and companies like Tenerife Outdoors offer a wide selection of walks, all led by experienced guides. Much as people are attracted to the Canary Islands for the climate, whales and dolphins are attracted to the area’s temperate waters. Bottlenose dolphins and pilot whales reside in these waters, particularly in the channel between Tenerife and La Gomera, while sperm whales, minke, and orcas are regularly spotted passing through. A day trip on a boat to spot these creatures makes for a rewarding day out on the sea. Katrin Dolphin Whale Watching has a beautiful wooden boat offering two hour trips from Los Gigantes, a particularly good area for spotting whales and dolphins and also allows you to take in views of the cliffs and of La Gomera. If walking isn’t your thing, take a Segway tour and while away an hour or two taking in the sights of the neighbourhood. Ecologic Segway Sport Tenerife runs one or two hour tours in Costa Adeje for anyone over six years old, including a trip over the golf course with a pit stop for drinks. A relatively cheap and fun way to get around. With so much beautiful countryside to explore and numerous bridleways with spectacular views, it makes perfect sense for those who like horses to take in Tenerife’s landscape on a riding tour. There are various companies in different parts of the island offering horse riding and pony trekking packages. 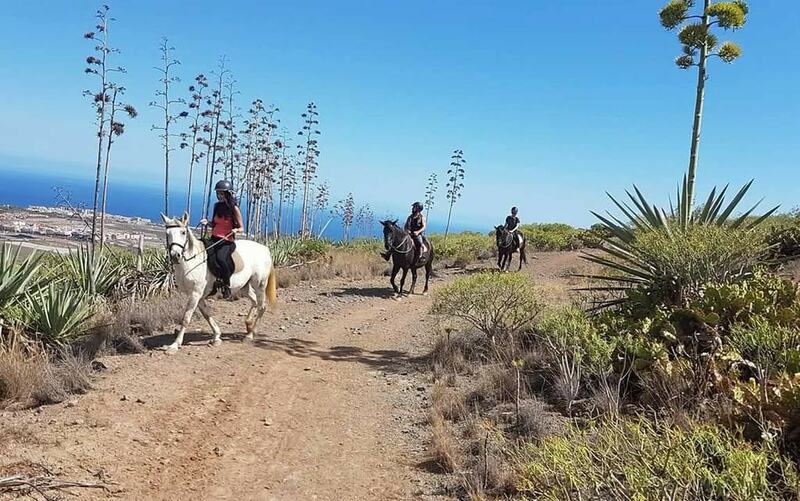 Horse Riding Adventures in Tenerife in the south of the island offer treks of varying levels with views along the southern coastline, for ages four and up, with longer treks for the more experienced rider. For thrill seekers (and those who aren’t scared of heights or flying!) a helicopter ride is a great way to see Tenerife’s spectacular volcanic landscape. Companies such as Helidream Helicopters offer a range of tours, from a quick flight over the south coast to an epic tour over El Teide volcano, lava fields, forested areas, vineyards and cliffs. Not a cheap way to see the island, but certainly one you won’t forget in a hurry. Driving around the island means you can pack a lot in to a tour, but if you don’t want to hire a car or sit on a tour bus with a bunch of strangers, why not book a private jeep tour and cruise around the island in relative comfort, stopping wherever you want. Jeep Tours Tenerife offer various different tours, for a maximum of seven people, with the possibility of customising your own route. The stargazing tour leaves in the afternoon so you get to see the National Park in daylight, before watching the sunset with a glass of Cava, and then gazing at the stars in crystal clear skies overhead.